Deep in the heart of the Western Cape in South Africa, amongst the valleys, mountains and Rooibos fields of the Cedarberg region, roams the shy and elusive Cape Leopard. Despite these magnificent animals currently occupying the role of apex predator, their fate remains uncertain. 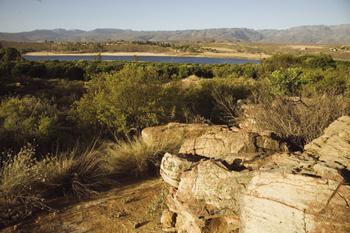 Through education programs initiated by the Cape Leopard Trust, the Cedarberg Conservancy and Cape Nature, farmers are encouraged to find alternative solutions to the perceived threat to their livestock. 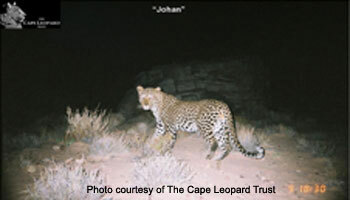 However, given their low numbers, large home ranges, and limited suitable habitat, Leopards in the Cape are considerably more threatened than many other Leopard populations. 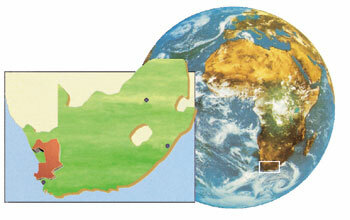 What makes the Cape Leopard different? According to project manager Quinton Martins of the Cape Leopard Trust who has conducted years of exhaustive research and education, preliminary studies indicate that Leopards in the Cape differ morphologically as well as genetically from leopards elsewhere in Southern Africa. 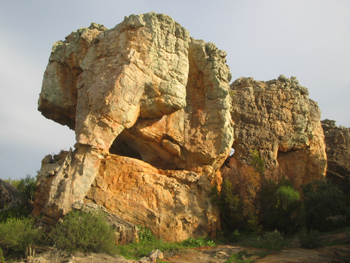 Leopard home ranges in the Cedarberg mountains may be as much as 10 times larger than those reported in earlier research, illustrating that population sizes are far smaller than previously estimated. Exact numbers of surviving leopards are unknown at this point, but given there are only 25 in a research area of 3000 km2, this would indicate that their numbers are potentially critically low. Cape Leopards are somewhat smaller than those elsewhere in Africa, being about 60-70% of the mass. On average, the males weigh about 35 kg and the females weigh approximately 20 kg. Compared with the home ranges of Leopards in the Kruger Park area (males: 25 – 50 km2 and females 10 – 25 km2) the Leopards in the Cedarberg have an exceptionally large home range (males: 200 – 1000 km2 and females 80 – 180 km2).